Showing results for tags 'pistol'. Pre-Owned Sig Sauer P320 9mm Compact RX with Night Sights $575.00 plus NJ Nics (15.00) and NJ Tax Gently Used. 100% Condition, Low Round Count. Sig Upgraded Trigger Original Box and Accessories. Stock Photo, Actual photo to be uploaded shortly. Has anyone here ever successfully built one? What parts did you use to stay under the 50oz maximum? Factory New Glock 19 Gen 4 with Laser $565.00 Plus NJ Nics and Tax. CALIBER:9mm STOCK/FRAME:Black Polymer CAPACITY:15+1 BARREL:4 ACTION:Safe Action SAFETY:3 Safeties WEIGHT: 24 oz. SIGHTS:Fixed FINISH:Gas Nitride EXTRAS:Includes Viridian E Series Red Laser Installed. Hello, Just want to clarify a few things that aren't evident to me procedurally, from my reading other discussions... 1) Based upon an assumed approval for an extension of permits, the most permits you can request if adhering to a single purchase per 30 days is 5. This allows sequential 30 day buys, i.e. day 1, 31, 61, 91, 121 and 151. Day 181 is not allowable under any circumstances. That isn't really a question, I believe this is fairly well established. 2) Given the schedule in #1, what defines day #1? Is it the day the PD chief signs/approves the permits, or is it the day they are picked up? 3) If one desired to have an exception to acquire more than one pistol in a 30 day window, does this re-start the 30 day clock for regular purchases? For example, say I purchased a pistol on day 1, then exercised my exemption to buy more for the purpose of building a collection on, say, day 15. Since I was buying on the basis of an approved exception, is the next allowable window for a regular purchase day 31 or day 45? 4) If I had a desire to buy three pistols per #3, say one for range use and two as collectibles, does the exemption list all three, or just the two for the collection? To make this interesting, as an example, say I wanted to buy an off the shelf revolver, and then an 1800s colt and a 1700s flintlock pistol. The fact that serial numbers are needed aside, the two that one would buy under exception are the colt and the flintlock. but to exercise the exception, and acquire a suitable range gun, do all three go on for the exception or just two? What if they are all from different vendors? 5) If there is a collectible that I desire to acquire, and do not desire to request exceptions, is it allowable to purchase the firearm (i.e. nothing precludes you from buying a gun if you do not take possession), have it shipped to my FFL (assuming they are agreeable to holding it), and then pick it up when the clock allows? 6) Is it best practice to provide the exception request for multiple purchases at the time of initial permit paperwork submission? Ive seen some posts indicate yes, but others that indicate that procedurally the exemption is different. Thanks for your time and insight! So my PD, like most in the state, can take a few months to issue my pistol permits. My problem is that I like to periodically browse for handguns to purchase. Now, for an online sale, I can buy and have it sit at my FFL until the permit matures. The problem for me arises when it comes to a private/face to face sale. If I want to buy and avoid FFL and NICS fees, it would mean that I'd need a pistol permit ready. But since they can take months to process, this is rarely the case. Obviously one solution is to involve a FFL and pay more fees. One other solution is to just apply for pistol permits every 6 months since they are valid for that long (including extension). This way I suppose I could always be ready for a local NJ private sale (and let them expire if I don't find anything I like)... Would there be any legal problems with this? Any other ideas or solutions? What do you do if you like to buy pistols relatively often? Any point to a threaded pistol barrel in NJ? I've started perusing 1911's and I've noticed that one I'm considering comes with or without a threaded barrel. Is there any point in spending extra cash on the version with the threaded barrel in NJ? I was debating putting this in the Handgun or the Shotgun forum. Mods, if you think it will get better traffic there, please move it. So, my buddy just picked one of these up after a long back and forth conversation with NJSP. They said he was good to go as long as it was on a Pistol Permit: http://www.blackacestactical.com Thought some of you guys may be interested. I have no clue as to the quality, reliability, or function of this platform. I just thought it was cool that it was good to go in NJ. A rare exception to the "If you have to ask in Jersey" clause. Does anyone have a PDF with Fair Lawn Permit forms? Salient Arms Glock - Anyone have one? For anyone interested in getting training from Rob Pincus, he will be running a course next Monday and Tuesday at Shooters Sporting Center in Little Egg Harbor. For more info and registration, please look at http://www.icetraining.us/calendar.html or contact me directly for any additional info. 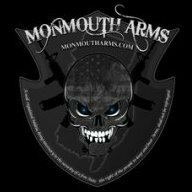 The Marine Corps League Dept of NJ is holding it's 3 Gun Aggregate Pistol competition this Sunday March 23 at the Union County Police pistol range at 0830. for more information and course of fire please go to: www.whdmclmarksmen.info and navigate to the schedules & scores page all shooters welcome. I have set up an NRA First Steps Pistol Class at Shooters in Little Egg Harbor, NJ on Feb., 8, 2014 from 2pm - 5:30pm. The instructor is Kharis Sepulvida who is a NRA certified instructor. Kharis has hosted a number of training courses that forum members here have attended, he is very personable, safety conscious and very easy to learn from. Class size is limited to 6 people for this class. Here is the course description from his website: Course Description The NRA FIRST Steps (Firearm Instruction, Responsibility, and Safety Training) Pistol program is designed to provide a hands-on introduction to the safe handling and proper orientation of one specific firearm model. This course provides an introduction to firearms safety, handling, and shooting skills. It is an ideal program for new pistol owners. This course satisfies the requirements to obtain a concealed carrying permit in various states. (Please check your local laws and regulations for information pertaining to the application process.) Textbook and course material are provided. It is recommended that the student bring their own handgun with at least 50 rounds of factory loaded ammunition. If, for an extra fee, a handgun and ammunition needs to be provided, please provide advanced notification. Cost: $160 ($50 deposit required to register for the class) If you are interested please post here and I will inbox you with registration info.